Little cherry virus is one of the few fruit tree diseases that describe their primary symptoms in the common name. This disease is evidenced by super small cherries that don’t taste good. If you are growing cherry trees, you’ll want to know the ins and outs of managing this virus. 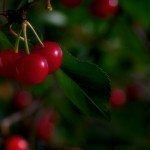 Read on for information about the causes of little cherry, its symptoms and methods for control. If you are wondering what causes little cherry disease (LCD), the pathogens have been identified as three different viruses. They are believed to be spread from tree to tree by mealybugs and leafhoppers. They can also be spread by propagation and grafting. All three pathogens of this disease occur in the Pacific Northwest, among other locations. 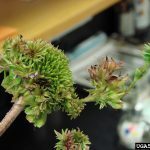 They are identified as: Little Cherry Virus 1, Little Cherry Virus 2, and Western X phytoplasma. If your trees have little cherry virus, you likely won’t realize it until just before the harvest. At that time, you’ll notice that the cherries are only about half the normal size. You may also notice that the fruit of your cherry tree isn’t the bright red you expect. Other little cherry symptoms include the taste. The fruit is bitter, and cannot be eaten or, in a commercial production, marketed. 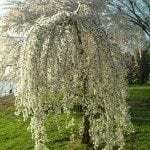 Some cherry tree diseases can be treated successfully but, unfortunately, little cherry virus is not among them. No wonder cures have been found for this orchard problem. Managing little cherry doesn’t mean, in this case, saving the tree. Rather, managing little cherry disease only means identifying the little cherry symptoms, having the tree tested, then removing it if it is diseased. All other cherries in the area should also be inspected. However, don’t automatically assume that a tree with small cherries has this disease. Many factors can result in small fruit, from cold damage to inadequate nutrition. But with these issues, the leaves may also be affected. With little cherry, the entire tree looks great other than the fruit size. Since this can be confusing, don’t make the decision yourself. Before you rip out your garden trees, take a sample and send it out for testing. Your local extension office can normally help with this.